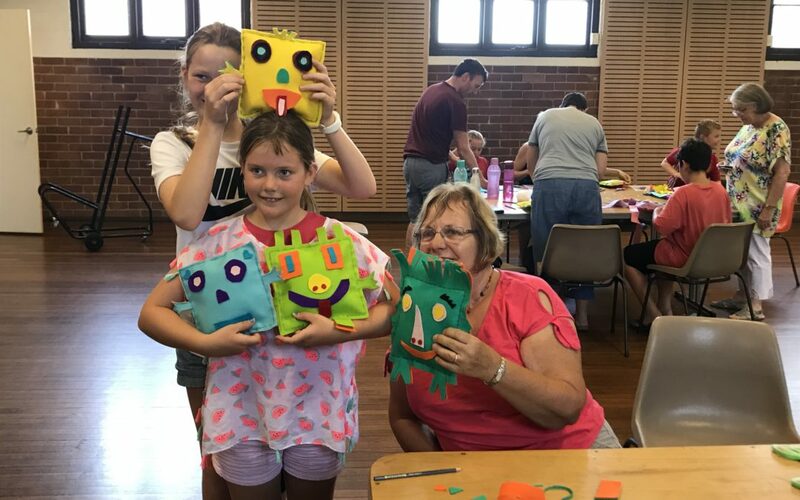 with generous kids giving up their time to make soft toys for kids living at The Sanctuary – The Hills Women’s Shelter with their Mums. They also put together “back to school” packs for the same kids so they can start the School year with everything they need. Thanks to Carol from The Sanctuary, who came to the program to talk to the group about the work that they do and explained how the soft toys would be so appreciated. Thanks also to The Hills Shire Council for hosting us. These Terms and Conditions are designed to enable the Event to operate safely, effectively and in accordance with the law. NOTE: These Terms and Conditions of Entry set out the agreed terms between the Event Organiser and you in relation to your participation, and any Minor’s participation, in the Event. In consideration of your and / or a Minor’s participation in the Event (as applicable), you agree to be bound by these Terms and Conditions. You further warrant that you have authority to agree to these Terms and Conditions on behalf of all Minors whose registration you arrange and that you have explained the terms set out in these Terms and Condition to these Minors. Please take the time to carefully review these Terms and Conditions and understand your rights and obligations. The Event is the relevant event for which you elect to complete these Terms and Conditions of Entry. The Event Organiser is Kids Giving Back and any other relevant agents, sponsors, partners stakeholders or suppliers. A Minor is a person aged between 5 and 18 years of age that you register for the Event. The Participant(s) includes any Minors and you, if you register for the Event. You understand that participating in the Event will involve Participants being around people and equipment, which is inherently dangerous and potentially hazardous, and may involve the real and foreseeable risk of serious injury or death from matters including, but not limited to the use of and handling of equipment, risk of danger from other people, fire, gas utilities and working on slippery surfaces and around roads. You agree, and you will be responsible for any Minor agreeing, to follow all lawful directions given to each Participant by relevant staff and personnel of the Event Organiser while any Participants are on-site. You agree to take care for you and your Minor’s own safety, and to wear safe, appropriate clothing while participating in the Event and to ensure that a Minor does the same. to the maximum extent permitted by law. You agree to indemnify the Released Parties and keep the Released Parties indemnified against any and all claims that may be bought against the Released Parties as a result of, or in connection with your, or any Participant’s, participation in the Event. You are responsible for each Participant’s safety and for the security of all personal property each Participant brings to the Event. You acknowledge and agree that the Event Organiser does not accept any responsibility whatsoever for any loss, damage or harm caused to any Participant’s personal wellbeing or personal property.